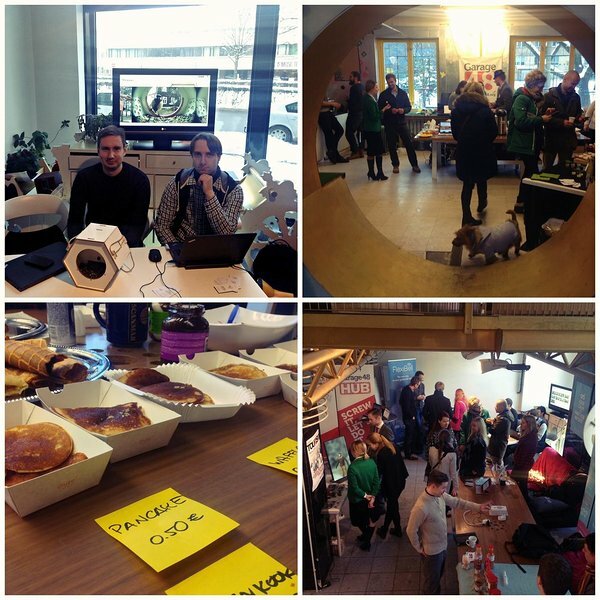 Saturday, 9th of January was definitely a cold one but despite the freezing temperatures outside, people gathered to Garage48 HUB where Estonian hardware tech startups showcased their work. 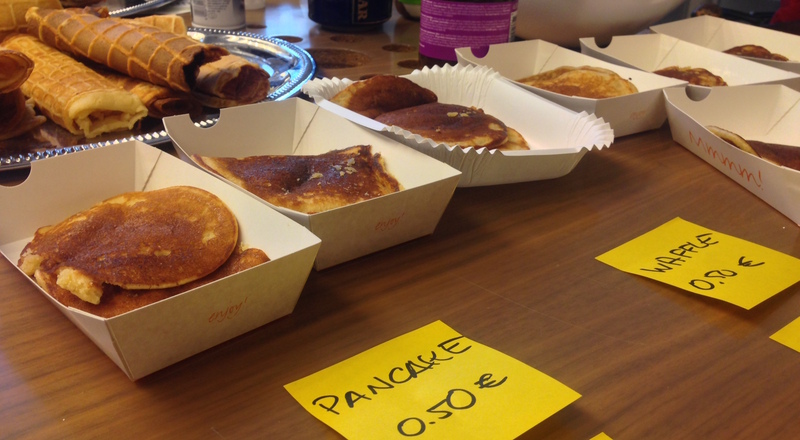 Besides the cool gadgets, visitors were treated with hot drinks, tasty waffles, pancakes and delicious smoothies by Smuhvik. The smell of cinnamon and a friendly buzz greeted people warmly from the doorstep. This kind of event took place the first time and there were more than 200 people interested in it on Facebook. “We wanted to give space for hardware tech startups to show what they do because we have a lot of activity going on in Tallinn, with the startup movement, but there is always a lot of attention given to the software side. We thought about the idea to make this kind of an event during Christmas time when all kinds of bazaars were organised and so we contacted some hardware startups and most of them were very excited because it’s an awesome opportunity to show their work” said one of the organisers Maria Lasprilla from TechSisters. There were 9 startups who had a chance to showcase their products, meet potential customers for future purchases and sell some products on the spot. Among others, healthy food products made some definite sales. 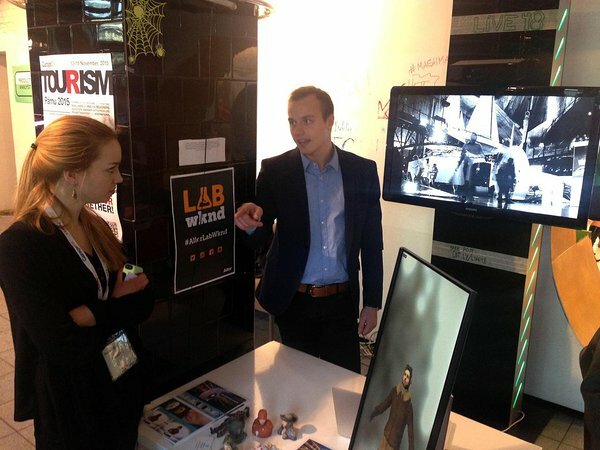 Startups could also get feedback about their hard work and share their future plans. “We invited startups that work with technology and are building a physical product. Most of them are like that but we also have a startup that makes food. But apart from the food, they are also building a convertible backpack. It’s the kind of people we want everybody to know about. They are creating things. It’s just technology applied differently” commented Lasprilla. The startup scene at the Tech Fair was undoubtedly varied – from Estonian handmade additive free gourmet food served by SlapSlop to a startup that balances the electricity system by turning smart appliances on and off across the country in real time – Sympower. The cofounder of SlapSlop, Ivan from Spain, welcomed the Tech Fair visitors with products that were mostly salty and spicy and therefore wonderful for warming up. “The fair is good and I like the fact that they give companies that are not solely software-based an opportunity to show what they have been doing” said Ivan. But delicious food was not the only thing he came to show. He is also working on a backpack that is the first modular backpack/duffel bag in the world. “Yes, the bag called Modus received some really good feedback and I’m super happy about it. We are currently working on a fifth prototype and then we’ll start a kickstarter campaign and raise some funds to bring the product to the market” commented Ivan about future plans regarding the Modus bag. Another startup that took part of this event was Etnobird. Etnobird is a nicely designed smart bird feeder that takes photos of wild birds and makes them instantly available via mobile app alongside with visiting statistics and bird species identification. “The fair has been interesting. A bit small but still, it’s international – there have been people from United States and Finland for example and we have had some good contacts” said Tanel Kerstna, one of the developers of Etnobird. As mentioned earlier, the startup scene was wide-ranging. Next to The Luna by Wolfprint 3D who talked about building a network of 3D scanner booths to change the way people remember their travelling experiences, was a startup called Heelosophy that showed how insoles could support feet by reducing the pain and adding balance, so wearing high heels would be more comfortable. 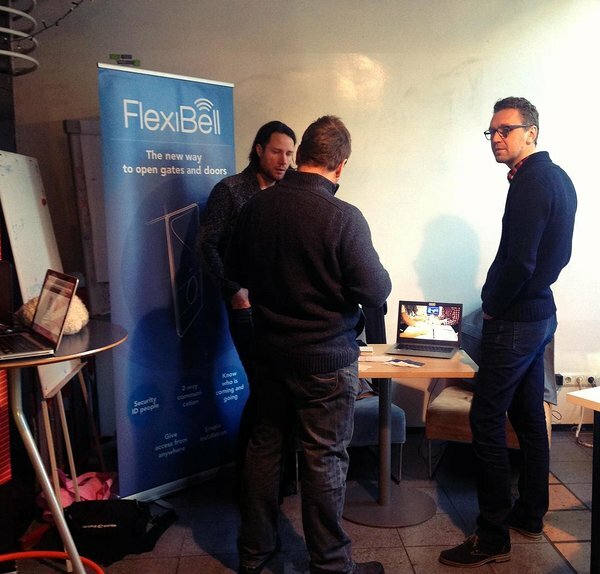 There were also startups like FlexiBell that offers a simple wireless smart doorbell which works with any phone on the market – talk to your guests, clients or service personnel even when you are away and MediKeep which is a mobile app that will help people to stress less about their home pharmacy management and health tracking. 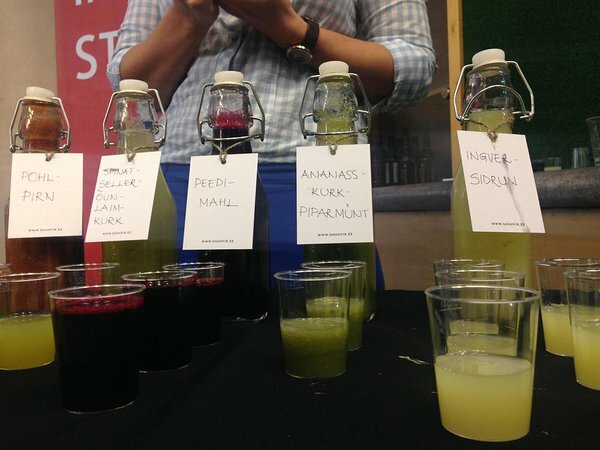 Next to waffles and smoothies, people could get more information about Vitamiinikuller – a company that was established in 2013 with the aim to provide customers with fresh fruit, delivering products directly from growers to consumers. People visiting the fair could enjoy some fresh orange juice and mangos to get boosted with vitamins before heading back out to face the cold breeze. Thank you for organising and supporting the great event, TechSisters, GrabCAD and Garage48! For us, this marks the first of many posts featuring the startup events happening in our busy ecosystem to make sure you don't miss out on the best events and the most interesting buzz the local startup event scene has to offer. Let us know your thoughts and recommendations for the future posts!